With the release of Dead Ringer less than a month away, I thought I’d answer a couple of questions about the book. 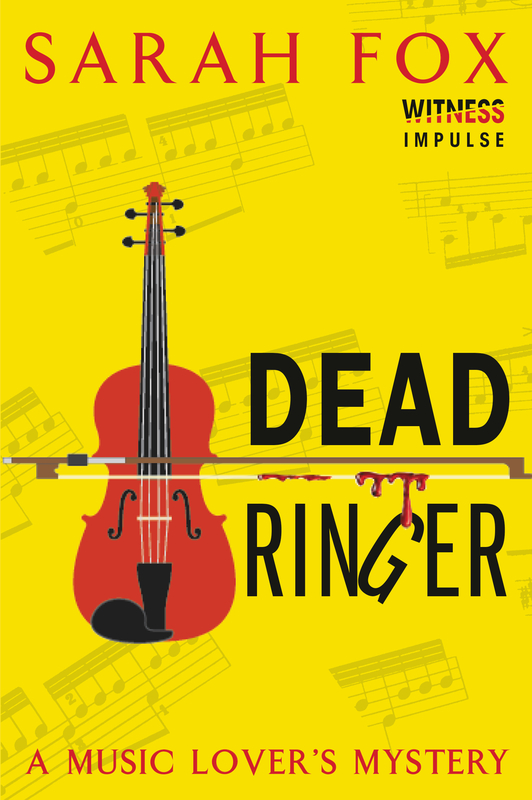 Dead Ringer is my debut cozy mystery, featuring a professional violinist who sets out to solve the murder of a cellist. Where did you get the idea to write this story? So far, this is the question I’ve been asked most often. I’ve loved mysteries for as long as I can remember and wanted to write one of my own for a long time. I played violin in school orchestras for nine years and it was that experience (murder-free, fortunately!) that gave me the idea to write a music-themed mystery. I was playing around with music-related words, trying to come up with a possible title, and as soon as I thought of Dead Ringer, I immediately had the basic premise for my novel — the murder of a ringer (a temporary member of an orchestra). From there the main character, Midori Bishop, came to life and the rest of the story followed. Where is Dead Ringer set? Vancouver, Canada. That’s where I was born and raised so it felt natural to set the story there. Which character is your favourite to write and why? The main character, Midori, is my favourite to write. That’s a good thing, since the entire story is told from her point of view. Her curiosity and tendency to snoop make her a lot of fun to write. My favourite scenes are those involving Midori and JT, her best friend. I love the way the two characters interact and the scenes are always very clear in my head. Hopefully readers will enjoy those scenes too! Dead Ringer, A Music Lover’s Mystery will be released June 2, 2015 by HarperCollins. The e-book is currently available for pre-order. A paperback version will be released at a later date. It’s fun to learn some of the background to the story. I can’t wait to own a copy!